There’s a new linky going on down Leanne and Nicky’s way, so I thought I would get in on the action. I’m working on a long term project to use up my scraps. To be fair I use scraps in almost anything, whether pockets for sew together bags, or as part of appliqué designs, I call on the scrap drawer first before I go to “proper” stash. Sadly, I still seem to make even more scraps than I am using! These blocks are entirely random, strings plucked out without looking and then checked for length before stitching down. I choose white-ish strings for half of it so I can create a (possibly chevron) pattern once I have enough blocks. It’s a very casual project- in that I haven’t done anything with it for a couple of months, but that’s OK as it’s for me and I don’t need it right away. This is my current progress, and I am aiming for 49 blocks- 7 x 7 12″ blocks- the biggest quilt I will have ever made at 84″ square. This is my string/ strip collection which I keep separate from the rest of my scraps but all mixed together randomly. I add new ones all the time from various project off cuts, or if I have some scraps in the normal drawers that would benefit from cutting up in order to be more useful. I’m indiscriminate when it comes to their design or colour. This is my new scrap fad, previously it was 2 1/2″ squares for my Bowie quilt. My green and blue drawers are especially overflowing with scraps, so maybe you’d like some of them too? I’ve put together a bag of 200g with these two colour groups mixed together. To enter, just tell me what colour scraps you end up with most of, or some other comment if you prefer. Followers get another entry, just leave another comment saying that you do. I’ll draw the winner on Sunday 19th at lunchtime GMT. Open internationally! I love scraps and someone else’s is special! Mybscraps are not at all organized but I did sort them and tidy them up into long, medium, and short strips or pieces. Anyway, it’s so sweet of you to give yours away! I have a lot of pink and orange scraps. For some reason I’ve noticed I have hardly any blue or ciano. I love these colours too… Will have to fix this! I have a lot of blue scraps but not many green colored. I’d love to win your scraps. I’m using 1″ strips for a pillow top. It is turning out quite colorful. I follow your blog via Bloglovin’!! Thank you for joining in the fun, and I love that your scraps are as messy as mine, although yours are at least sorted by shape. I think I have the most of blue, as that is also the colour of fabrics I have most of. I don’t really need more, by the way, this whole project was to help me have less, so if my name comes up feel free to draw another. 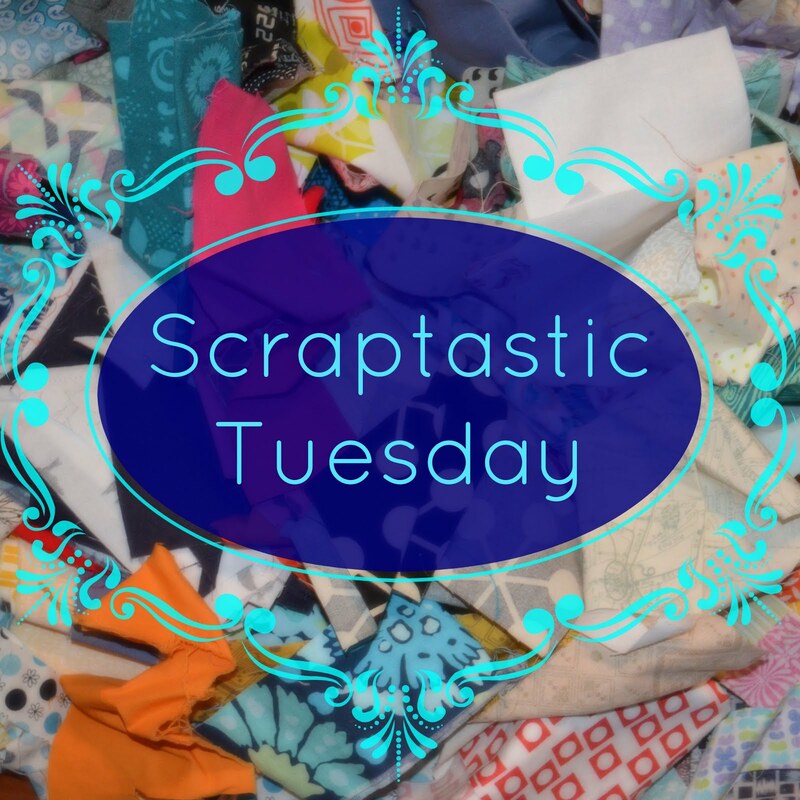 I love scraps—I always scrounge around in my scraps before heading for large cuts of fabric. 🙂 And, like someone else said, I adore getting to play in someone else’s scraps. 🙂 Thanks for offering to share your ‘treasures’. I’m in the USA. Hummm, some people would probably consider all of the fabric I have and use as scraps, since I’ve gotten it from old clothes, and free from wherever I can find it. What I consider scraps are bits in an ice cream pail that can’t be folded square, and I’m cutting them into 2.5 ” squares whenever I feel like it. In both my folded fabric and scraps, what I have the most of is low volume white and cream tiny flowers. I would love some of your scraps! I follow you with e-mail. I really like the cheerfully haphazard color combos in your log cabin. I mean that as a compliment, Kerry. I find it so hard to let go and give in to the randomness. Seeing your blocks has convinced me to try again. I seem to have a lot of gold-ish strips. Not so much yellow as muddy yellow. Where do they all come from? Thanks for offering to share your scraps. Other people’s scraps are always so much more appealing than our own, right? I’m parted from my scraps just now and I keep thinking of things I’d like to make. Most of my scraps are made up of old fabrics. They tend to be a bit of a mish mash too in colour and design. I love a scrappy quilt. I’m a follower by email. Green and blue’s are my favourite colours and so seem to be the scraps I have the most of – never have anything yellow!! I seem to be constantly making something out of nothing, I love using scraps. lovely giveaway. My scraps are mostly white and plain fabrics. Not sure why though. Haha that is very clever – giving away your scraps! Sorry but I’m the same as Leanne so pick again if my name turns up. I seem to have blues/greens and neutrals at the moment! But it could be those boxes are more aerated as I’ve been using those…? Great scrappy project and thanks for linking up and giving us a shout out! Red for me – but they all get used eventually! I’m a little ashamed entering this giveaway as I have a ton of scraps all over my flat. But I do love other people’s scraps more than my own. I sort my scraps by size not colour! Why is it that someone else’s scraps are always better than mine?? Sorry for all of the spelling errors in the last comment I’m rubbish at typing on my phone. I am a follower on Bloglovin. I tend to have a lot of pink scraps – I think it comes from having girls! I seem to end up with mostly green scraps, but I haven’t sorted by color so that color may have just floated to the top of the bin. Love your blues! I usually end up with a lot of pink since I have a granddaughter. I just love scraps…today I needed brown for a robin….but there was no brown in sight!! I tend to end up with a lot of white. Log cabins are timeless, and the scrappier the better. You’ve got a great start!